Lenore Cooney, co-founder and CEO of Cooney/Waters and Alembic, is retiring, effective Monday. NEW YORK: Lenore Cooney, co-founder and CEO of Cooney/Waters and Alembic, is retiring, effective Monday. 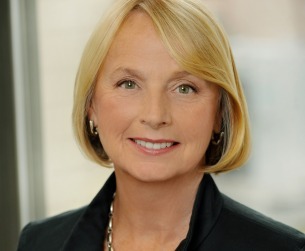 Cooney’s career in PR and public affairs spanned more than three decades, including serving as president of Ogilvy Public Relations in New York prior to founding Cooney/Waters in 1992. Tim Bird, president and COO, is succeeding Cooney. Cooney said that putting the client first has always been a priority, both to meet their needs and keep long-term goals in mind and because it can give a PR professional a sense of gratification. The industry, while ever-evolving, requires key qualities, she added. "Nobody at the age of 11, when you ask them, says, ‘I want to be a PR person.’ It appeals to somebody with a low threshold for boredom and a high tolerance for ambiguity, complexity, and muddle," said Cooney. Over the years, Cooney has seen dynamics in the industry change, with data taking on additional importance instead of strategy. "There was a point, we came through a bit of a golden age, when there was recognition on the part of management companies and also nonprofit organizations that they could use PR in a very strategic way – everything you did kind of lined up with an organizational goal," she said. Cooney added that agency life can be demanding, but staffers at Cooney/Waters have worked to keep stress at bay by not creating it for themselves. "This is a human enterprise and we’ve tried to keep it focused there. We work hard, we play hard – agency life, it’s high-stress," said Cooney. "We’ve always sort of emphasized intellectual rigor and putting your client first." During her career, she directed crisis management programs on issues such as animal research, biotechnology, food-product safety, and the US vaccine supply. She also worked on nutritional policy issues, HIV/AIDS and sexually transmitted diseases, and cardiovascular disease, among many others.